Mention Port Adelaide to an Australian and they will probably tell you about either their love or hatred of the Australian Rules football team. They might also know it’s near the water and has a maritime history. There is a lot more to the area than that though, and finally the secret is getting out and people other than the locals are starting to discover it’s charms. 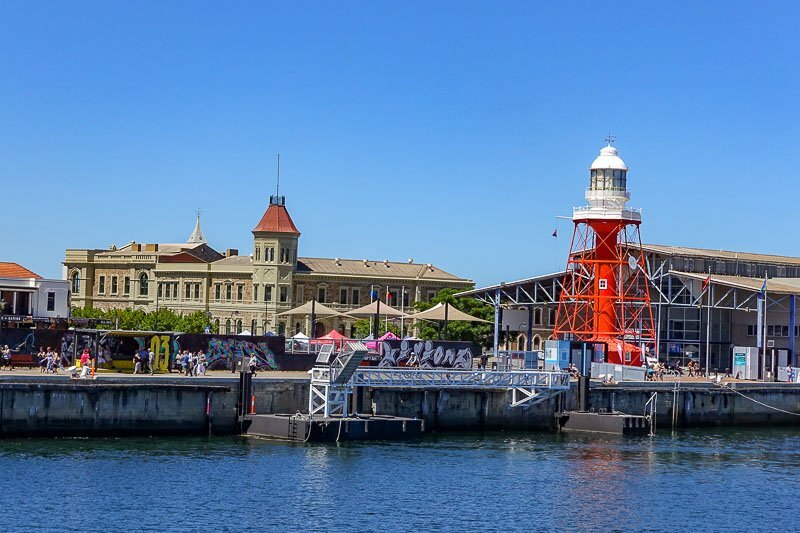 Here are the best things to do in Port Adelaide. 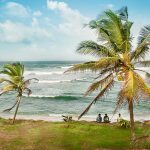 Things to do include museums, dolphins, markets, street art and more. Port Adelaide is in the north western suburbs of Adelaide. 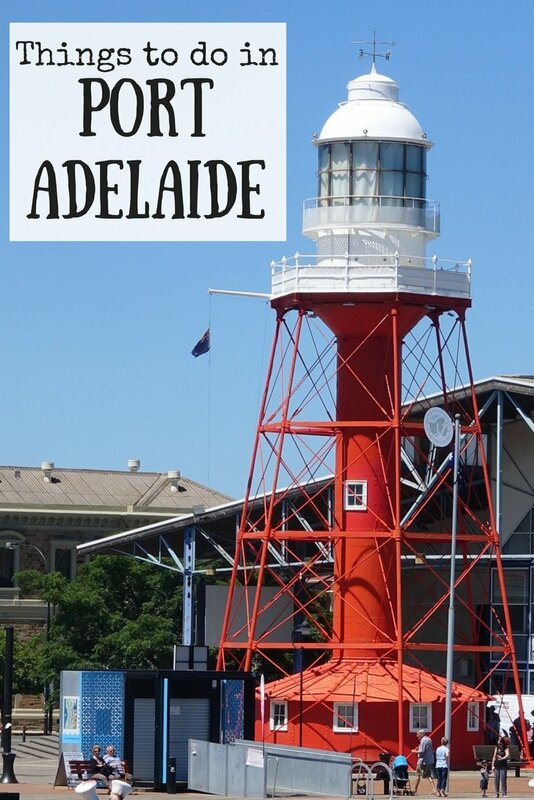 It’s a historic area with the first settlers arriving in 1837, when it was serving as the Adelaide port for South Australia. With shipping containerisation the working port has moved to Outer Harbor, with the inner port now reserved for small boats and water sports. It is traditionally a working class area, and is currently undergoing a transformation. There are many new cafes and restaurants, with Quest Apartments recently opening a new location here and the infrastructure for visitors is improving all the time. Now is a great time to find out what it happening. 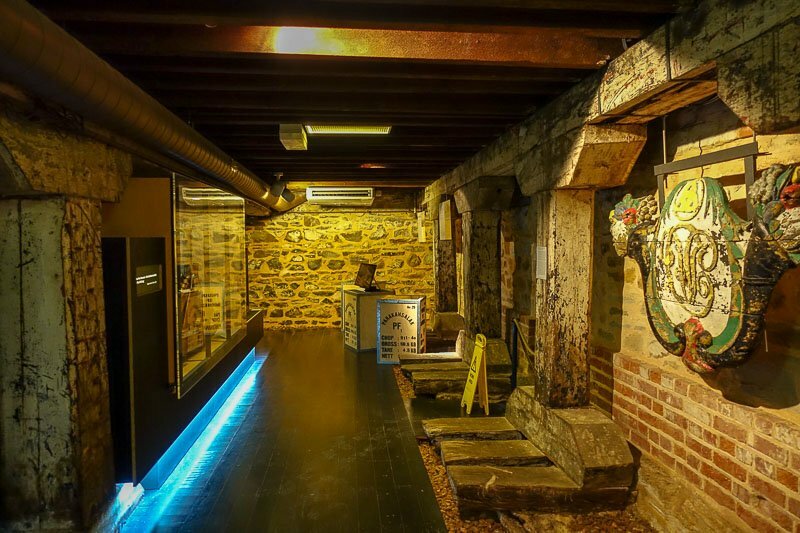 Here are some of the best Port Adelaide attractions. The Port River is home to a group of bottlenose dolphins, one of the closest pods in the world to continuous human contact. The area is protected as the Adelaide Dolphin Sanctuary, and around thirty dolphins call the river home. Many more come to visit. 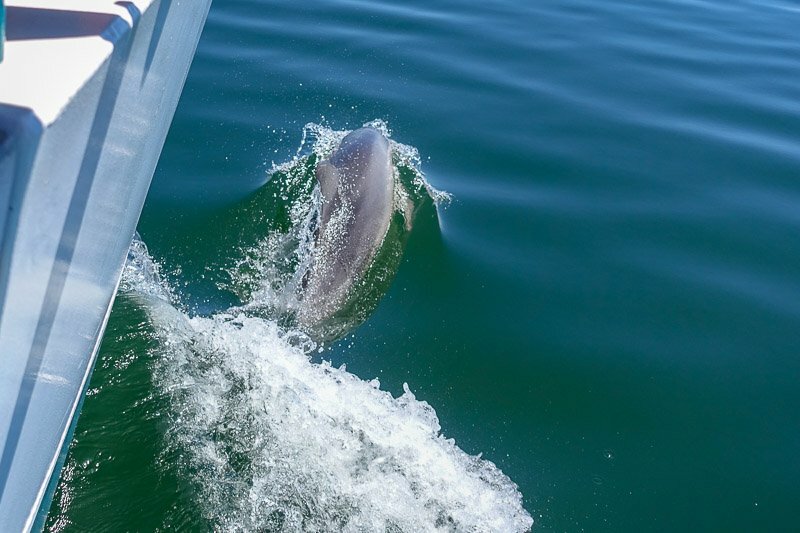 One of the best ways to view the Port Adelaide dolphins is to jump on a boat. 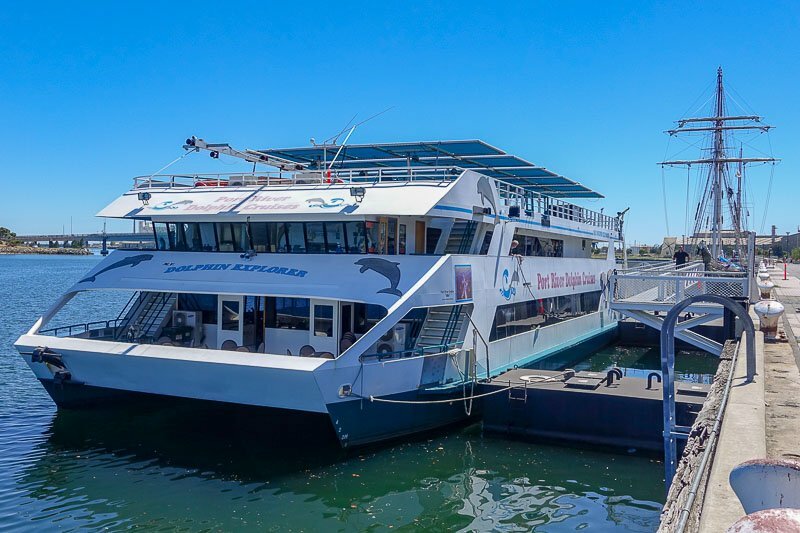 The popular Port Adelaide dolphin cruises leave from Queen’s Wharf at the end of Commercial road near the lighthouse aboard the Dolphin Explorer. Some cruises operate at lunch time and there is an option to have lunch on board as the boat makes it’s way down the Port River. The cruises depart at various times throughout the day and can range from 1.5 to 2.5 hours in length. Check the website in advance to confirm when the cruises are operating. 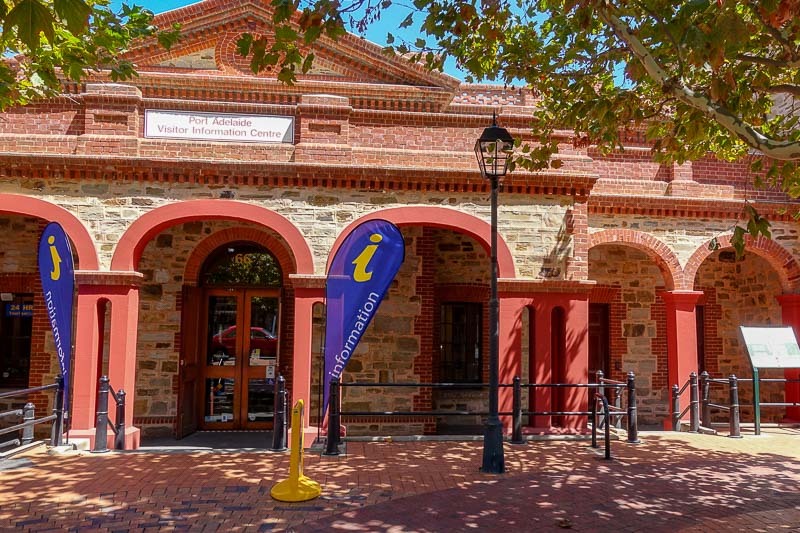 The most well known of the Port Adelaide museums is the Maritime Museum. With the history of the area this is no surprise. 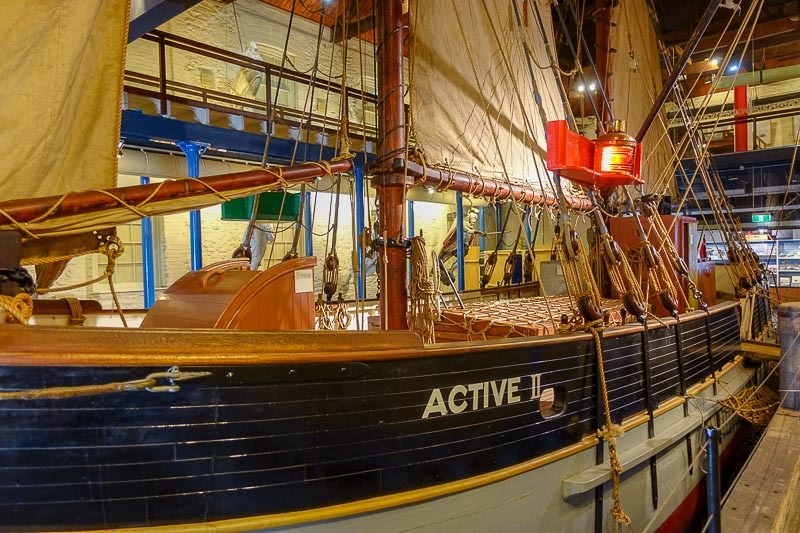 On entry to the museum, the first thing you see is a full size replica of a ketch that was locally built in 1873. From there you make your way through a display showcasing the Australian Navy before moving on to information on the local dolphins that live in the Port River. Downstairs in the basement is all about the boats that brought people to Australia, from the first ships, to those in the 1950’s and 60’s. There are replica’s of some of the cabins so you can experience the cabin sizes for yourself. Down here are also computers you can use to search passenger lists for your ancestors if you know they came to South Australia by boat. I liked that the original features of the old building are still on display, with exposed beams and rough walls. The top floor was predominantly local information. Local boatbuilding is showcased with memorabilia from those companies. There are local photographs, and even a small jetty, showing the changes to the port and coastal areas. Adult entry to the museum is $15, and the entry ticket also includes a complimentary climb up inside the Port Adelaide Lighthouse. We weren’t able to do this the day we visited, but the ticket is valid anytime we want to go back. The National Railway Museum is on Lipson Street, a short walk down from St Vincent Street. It is home to over 100 different exhibits. Amongst those are many old locomotives and carriages previously used by the South Australian Railways, and also some from other companies interstate. There are other smaller displays on almost anything related to the railways, including wartime displays, the travelling circus, and women in railways. There are display boards and ticket counters previously used at the Adelaide Railway Station. Everywhere you look there are historical artifacts, from whole stations to signs and signals. 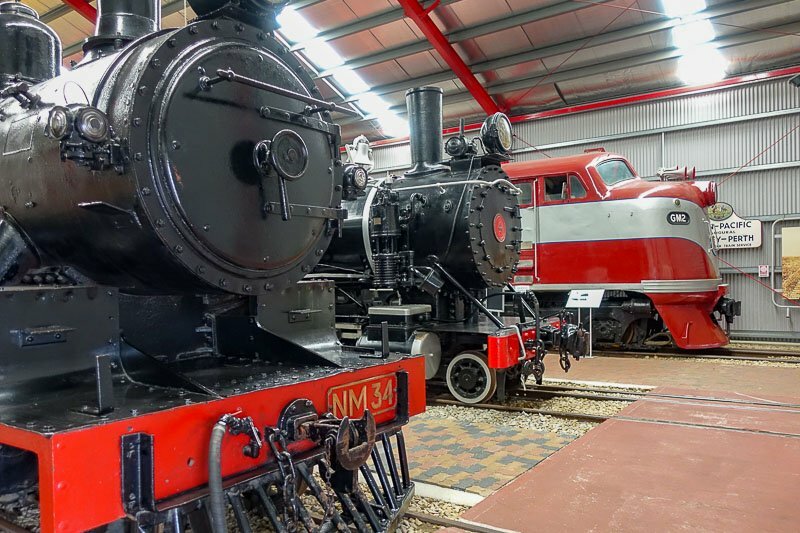 The model railway fans will enjoy a display showing the different areas of the state and the trains that ran on them, and a miniature train ride is available throughout the day doing laps of the entire site which the kids will love. Even for the non-train enthusiast, the $12AUD entry fee is well worth it. Right next to the Railway Museum is the Aviation Museum. Housed in a relocated WWII hangar the museum is home to approximately 15 aircraft. 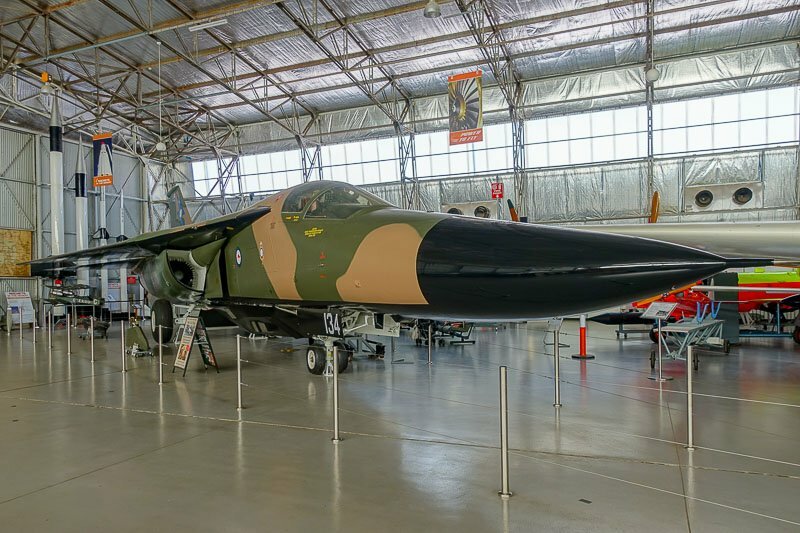 You can’t help but notice the impressive F-111 as soon as you walk in, but there are many other planes of various sizes throughout the building. 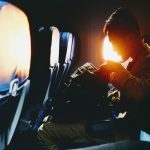 Some of the planes are roped off, but there are extra guided tours that can be purchased to get inside of them and hear about the history of that particular plane. 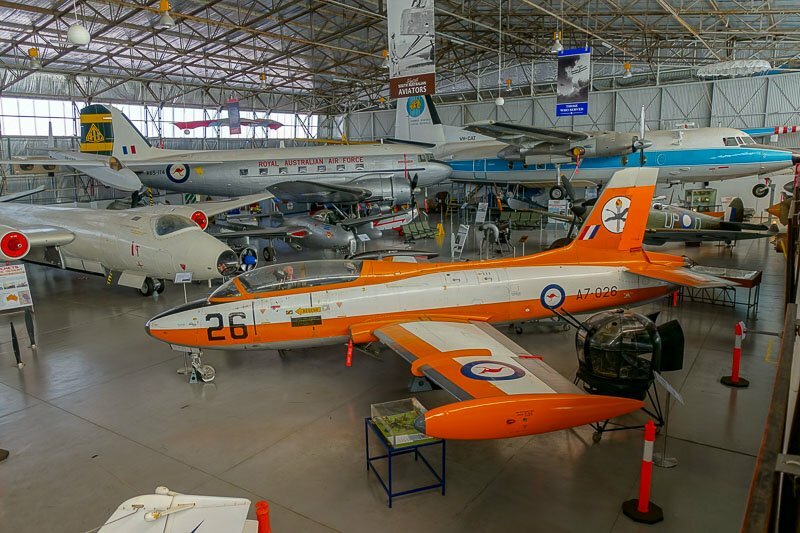 There are also many displays of various items to do with flight, from information on the rocket program at Woomera to the mail runs in country Australia. There are home made planes, various propellors and engines pulled apart to show how they work. I particularly enjoyed seeing the old passenger planes. They may have been less luxurious, but they had so much legroom! A nice touch around the displays are some seating areas. The seats appear to be airport waiting area seats. I meant to ask on my way out if they had come from the old Adelaide airport when the new one was opened, but it completely slipped my mind. I will have to ask on my next visit. I admit it’s been years since I have been on The One and All sailing ship, but it’s a fantastic way to experience a little of the romance of the sailing era. The One and All is a recent build (1987) in the style of the tall ships of bygone days, but with modern safety features. Climbing up the mast while the boat was rocking on calm seas was an experience. I can’t imagine trying to climb it in rough seas with no harness! Based at Queen’s Wharf, there are various tours and sailing opportunities. Please head over to their website to see all the options and prices. 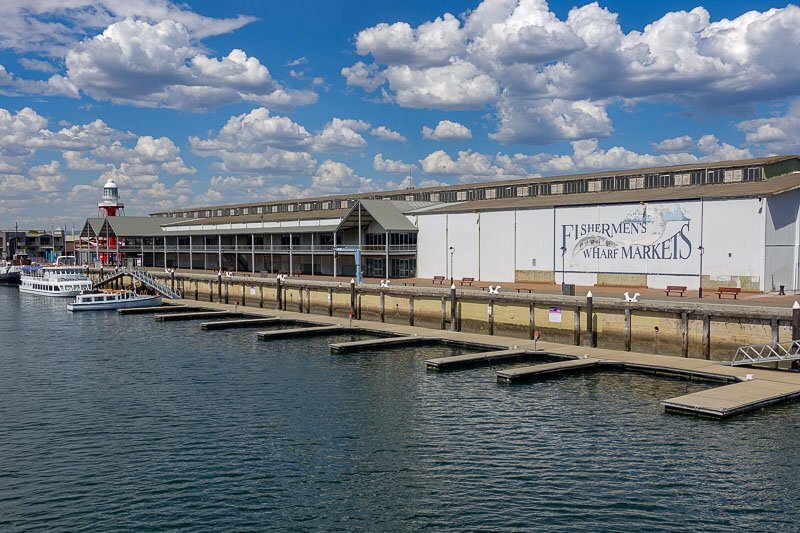 The Fishermen’s Wharf Markets are located right on the Port Adelaide docks next to the Port Adelaide lighthouse. They run on Sundays and public holiday Mondays throughout the year. Every time I have been there over the years the stalls inside have been different. They are a treasure hunters delight, and are perfect for spending an afternoon fossicking. There are everything from household goods, crafts, food, clothes, collectibles, toys, books and so much more. You are guaranteed to pick up a bargain. There is normally some form of entertainment, with face painters, buskers, or perhaps a band playing outside too, so the these Port Adelaide markets make for a great family outing. 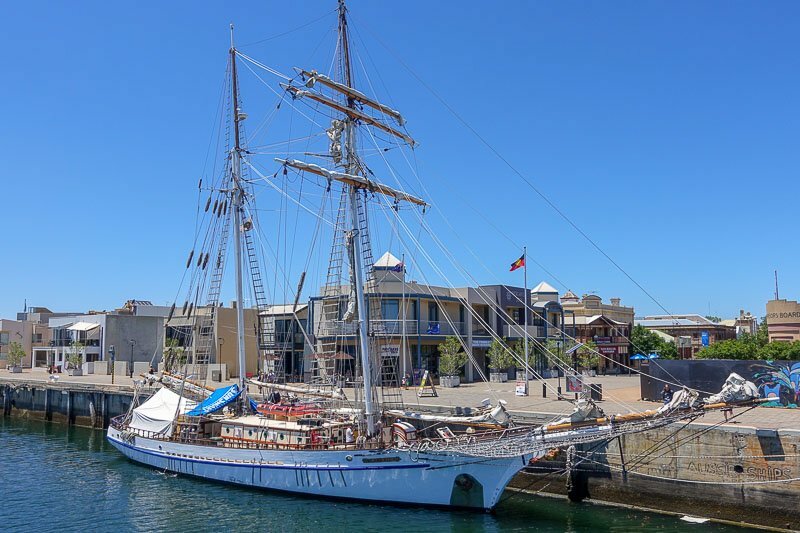 The City of Adelaide is the oldest surviving clipper ship in the world. It is currently sitting on the wharf in Port Adelaide during it’s restoration period before it will be moved to it’s forever home. The City of Adelaide was cunstructed in 1864 and did 23 journeys from London to Adelaide carrying passengers and goods. It was eventually left languishing in a shipyard in England until a group of volunteers were able to bring it back to it’s namesake city in 2014. It’s now possible to do tours of the ship to learn more about it and it’s history with all funds from the tours going straight towards the restoration. Click through to the website to see current times and prices. Port Adelaide was the host of the Wonderwalls Festival in 2015, 2017 and 2019. There are some fantastic pieces of artwork scattered throughout the area from some well known local and international artists. Even passing through you cannot miss some of the pieces as they take up the whole sides of a seven story building. Others are hiding down back alleyways, in back streets, and some are even inside buildings. The Our Port website has a downloadable map showing where each mural is located. 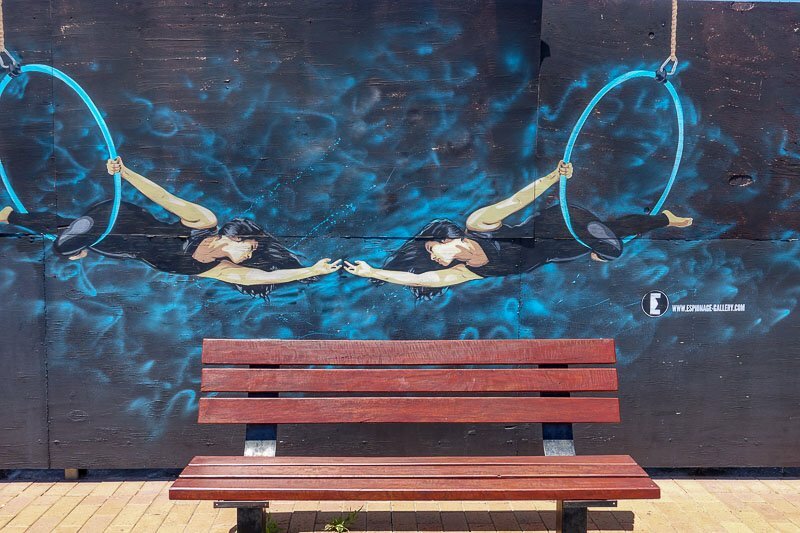 For more photos, see my Street Art of Port Adelaide post. I’m throwing this one in here even though I haven’t had the chance to test it out for myself yet because I have heard great things about it. As one of the oldest suburbs in the state, there is no surprise that Port Adelaide has a myriad of stories of murder and mayhem. The Port Adelaide Ghost Crime Tour is taking people around after dark and telling you about some of these stories and pointing out some of the locations where the local ghosts are said to still hang out. There is also a second boat tour that takes you out to the now defunct quarantine station on Torrens Island which by it’s sheer nature has many tales of crime and death in it’s past. If you have done one of these ghost tours, I’d love to hear how it was. This one has only just started up. 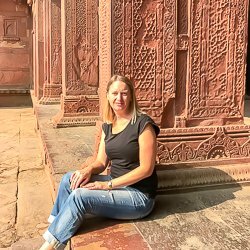 I haven’t given it a go yet, but the reviews are great and I wanted to include it here so my readers can plan for a visit during summer. The river cruiser is what can only be described as an upmarket floating picnic table, to allow you to dine and float around the Port River. Imagine enjoying dinner during a beautiful sunset with dolphins swimming just metres from you. Food is supplied by the local Portobello restaurant. Keep and eye on the website or Facebook page for updates. Port Adelaide has at least ten operating pubs in a very small area. Many of them are in heritage buildings and have been operating for well over one hundred years. Pirate Life Brewing has also announced they are moving their local operations to Port Adelaide as the craft beer scene takes off in the area. 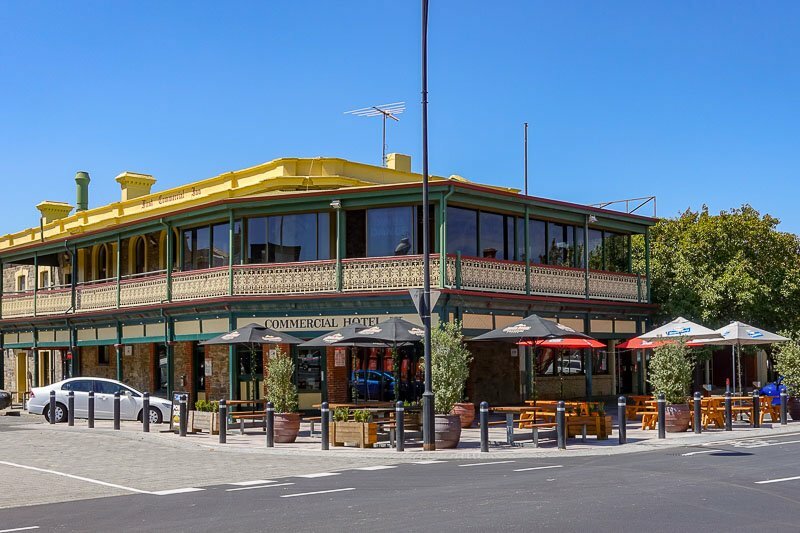 My suggestion is to check out the newly renovated and reopened Port Admiral Hotel on the corner of St Vincent St and Commercial Road Or enjoy a relaxing drink in the sun a bit further up the road at the First Commercial Hotel. 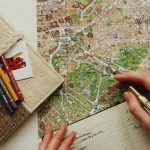 With hotels on almost every corner, you will be spoilt for choice. 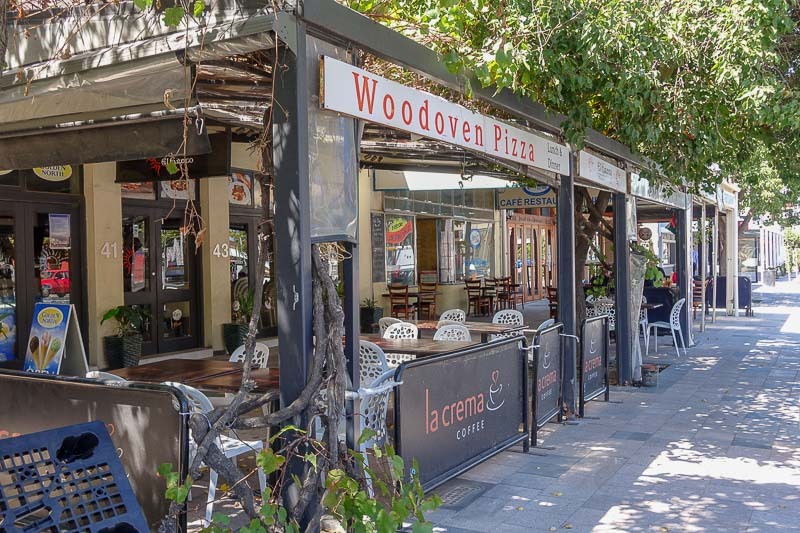 Port Adelaide is getting more and more cafes and restaurants. The older places are refurbishing, and new places are opening. The dining is spilling out onto the sidewalks, so that the diners can enjoy the atmosphere. It is possible to find almost any food type. There are many pubs in the area if you are looking for a good pub meal, a few drinks, and some entertainment into the evening. A wine bar has recently opened and there will soon be a craft beer brewery to bring another dimension. This area is also starting to blossom with boutiques, so if a little shopping is on your list, it’s great to wander after your meal. Catching the train from the main train station in Adelaide is the best way to get to Port Adelaide. Port Adelaide lies on the Outer Harbor line and will take about twenty minutes and cost no more than $5.50AUD each way. Buses are also available from the city centre or from other suburban hubs. For more information on Adelaide public transport please go to Adelaide Metro. If you want to drive or catch a taxi then it will take about twenty minutes from the city. There is plenty of free parking in the area. More information on things to do in Port Adelaide can be found on the Port Adelaide Tourist Information website. Alternatively you can visit them at 66 Commercial Rd, Port Adelaide. As mentioned the opening of the Quest Apartments right of the waterfront now provides a fantastic option for a place to stay in Port Adelaide. 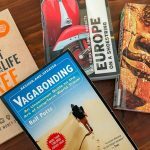 If your budget doesn’t quite stretch to that, then there is also the Port Adelaide BackPackers just across the other side of the carpark. Venturing slightly further up the road, right on the beachfront is the Largs Pier Hotel. You get a touch of years gone by in their beautiful big rooms. Enjoy a bottle of local wine on the balcony as the sun sinks into the sea. Not words I expect to hear from you, Josie! I love that Port Adelaide has a lot of attractions that a tourist can choose from. The place is so rich in history and culture. My partner, Gian, is so fond of air crafts and he would really love the Aviation Museum. Thanks Hayley. I only found out a year or two ago there was an Aviation Museum too, so you are not alone. Ooooh, I´d like to see that street art! 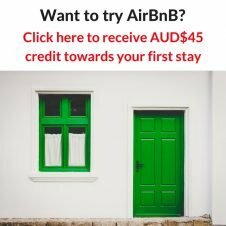 I´ve never been to Australia but it looks like such an interesting place to discover! Thanks Karin. I hope you get a chance to visit one day. So many museums to visit! I will be interested in the railway and plane one. 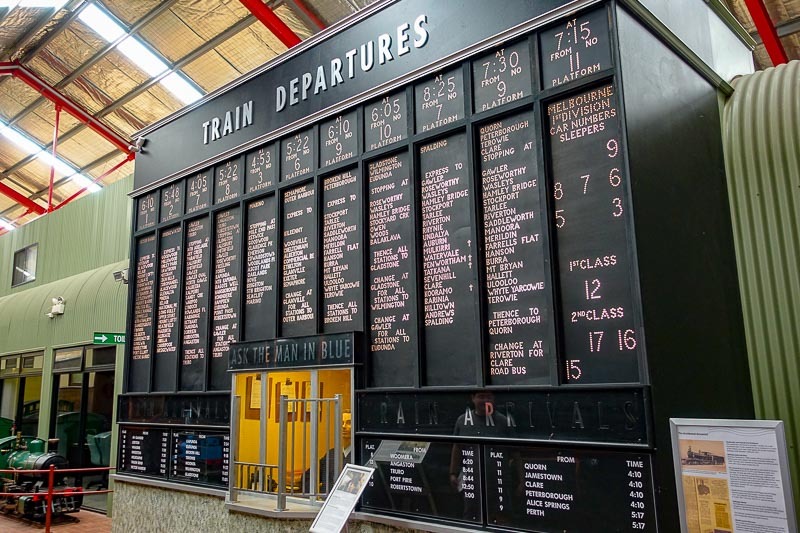 The train departure board looks gorgeous! The words look unique and really lovely, are they handwritten text? Thanks Kristine. I don’t know if it is handwritten, but it could be. I’m not sure when it was made, but it stopped being in use probably in the 80’s – my hubby remembers it as a kid, but I wasn’t living in Adelaide then.